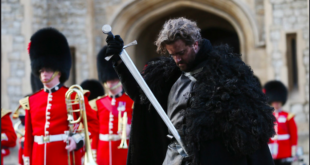 Fans won’t need to send their letters by raven, now that Royal Mail has partnered with HBO for a collection of official Game of Thrones postage stamps featuring top characters from the hit fantasy series. 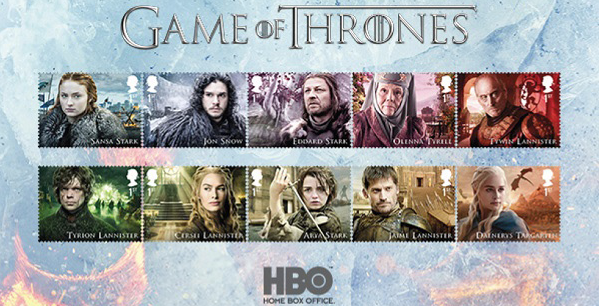 The stamps are emblazoned with the likes of Daenerys Targaryen, Jon Snow, Arya Stark, Cersei Lannister, Sansa Stark, Tywin Lannister, Eddard Stark, Olenna Tyrell, Tyrion Lannister and Jaime Lannister. Five more stamps on a Stamp Sheet feature characters such as The Night King and White Walkers, plus the coveted Iron Throne itself. Fans can also get their hands on framed stamps, medal covers and stamp art souvenir folders.